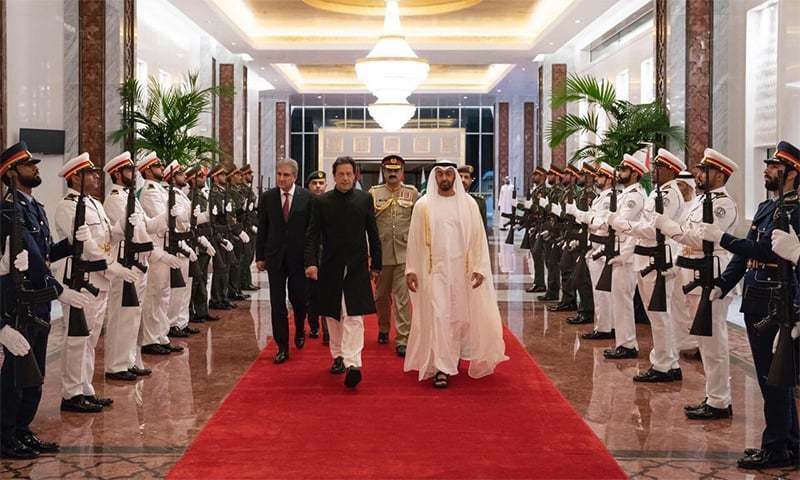 Prime Minister Imran Khan reached United Arab Emirates (UAE) on Wednesday in the second instalment of his two-day official Saudi/UAE tour. He was received at the Abu Dhabi airport by Crown Prince of Abu Dhabi Sheikh Mohammed bin Zayed bin Sultan Al-Nahyan. Earlier in the day, the PM met Saudi King Salman and Crown Prince Mohammed bin Salman on his maiden visit to the kingdom. During his meeting with the royals, the prime minister discussed matters of regional and bilateral interest. The leaders also talked about economic relations between the two countries. 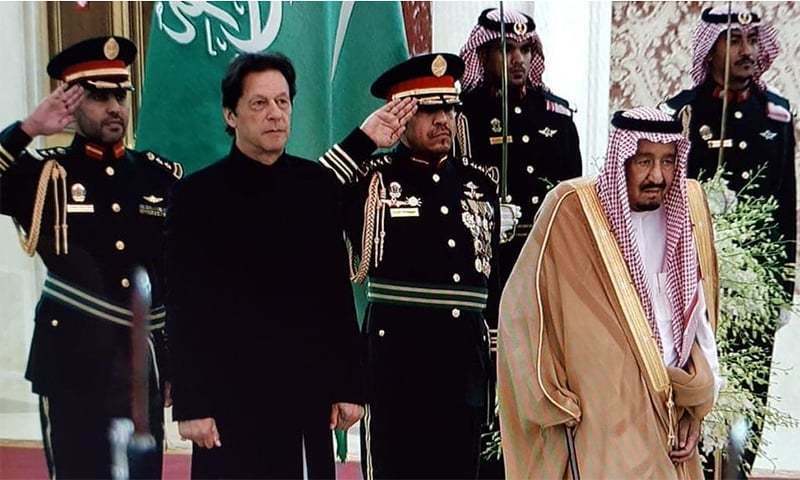 On his arrival in Jeddah, the prime minister was presented with a guard of honour and the national anthems of both countries were played. King Salman held a banquet for the premier and his delegation. 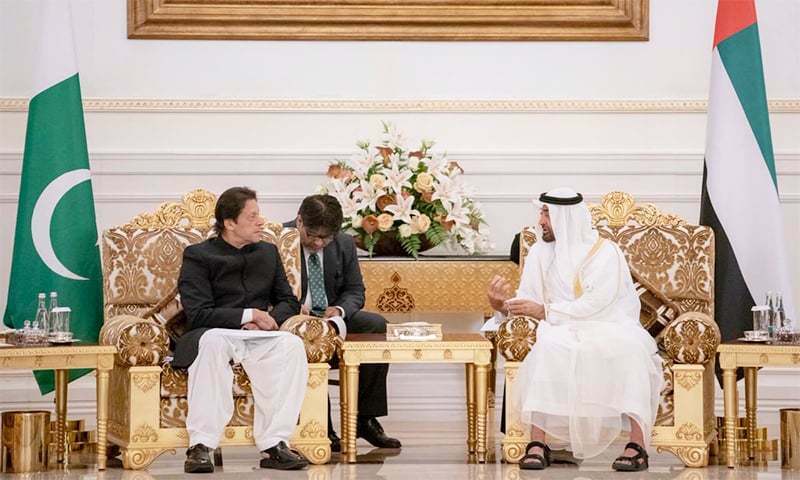 Crown Prince Mohammed bin Salman also hosted a dinner for PM Khan when the leaders met. The prime minister commended the crown prince's vision to turn Saudi Arabia into a modern economy. During their meeting, the leaders discussed ways to strengthen bilateral relations as well as steps that can be taken to enhance cooperation in political, defence, economic, commercial and cultural sectors. They also discussed challenges that are being faced by the Muslim world. PM Khan brought up the issues of Pakistani expatriates living in Saudi Arabia as well. The prime minister also highlighted the human rights offences by the Indian army in held Kashmir. The leaders reaffirmed their support for Palestine's struggle for an independent state with East Jerusalem as its capital. The premier extended an invitation for the crown prince to visit Pakistan, which was accepted, in principle, by the Saudi leadership. This is Khan's first foreign tour as prime minister. Talking to Al Arabiya, he said that "anyone who comes to power in Pakistan will visit Saudi Arabia first” as the two countries share a "strong people to people relationship". "Saudi Arabia has in the past helped Pakistan when [the country] has been in need," he said. The prime minister held a meeting with the secretary general of the Organisation of Islamic Cooperation as well. The meeting was attended by Foreign Minister Shah Mehmood Qureshi, Foreign Secretary Tehmina Janjua and Pakistani ambassador to Saudi Arabia. 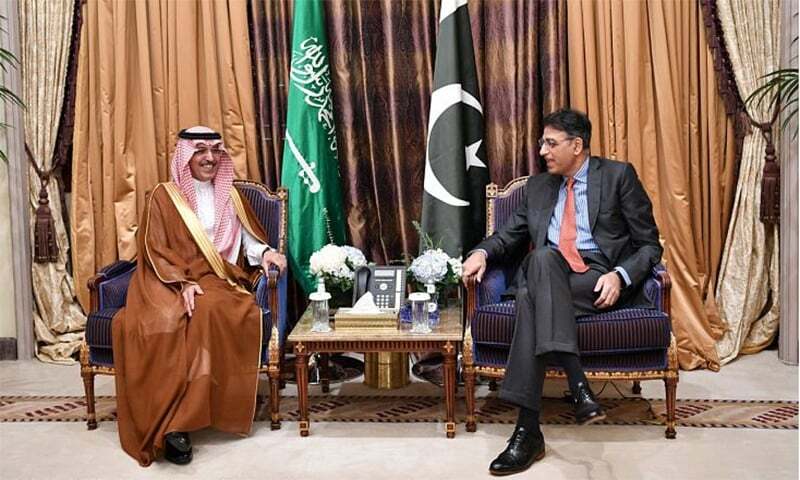 Meanwhile, Finance Minister Asad Umar — who is accompanying PM Khan — met his Saudi counterpart Mohammed bin Abdullah Al-Jadaan as they discussed "aspects of financial and economic cooperation". Information Minister Fawad Hussain Chaudhry — also part of the premier's delegation — met the Saudi Minister of Media Awwad bin Saleh Al-Awwad earlier in the day. The two discussed ways to expand media cooperation between the two states. Later in the day, the prime minister and his delegation travelled to the UAE where they were received by Abu Dhabi Crown Prince Mohammed bin Zayed Al Nahyan. The premier, accompanied by Qureshi and the prime minister's adviser on commerce Abdul Razak Dawood, as well as Umer and Chaudhry, landed in Madinah on Tuesday. 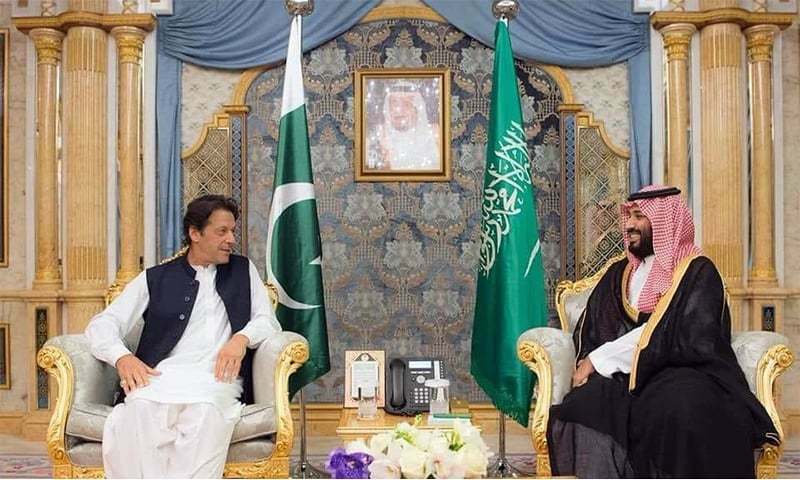 He was received at the airport by the governor of Medina, Shahzada Faisal Bin Salman, and Pakistan's Ambassador to Saudi Arabia Khan Hasham Bin Siddique. On his arrival in Makkah last night, PM Khan and his delegation performed Umrah. The doors of the Holy Kaaba were opened for the prime minister, where he offered prayers. During his interview to Al Arabiya, PM Khan said that Pakistan wanted to play a reconciliatory role in the Muslim world. "We feel that it's very important that there should not be any conflict in the Muslim world," the premier said and added that there were already several conflicts plaguing the Muslim world, "starting from Libya to Somalia, to Syria, Afghanistan... Pakistan has [also] suffered a lot". "Conflict in the Muslim world is weakening all of us. Ideally, Pakistan would like to play a role of putting out these fires." Ask Saudis to stop bombing Yemen. I hope he mentions the killing of innocent children in Jemen and the starving Children. 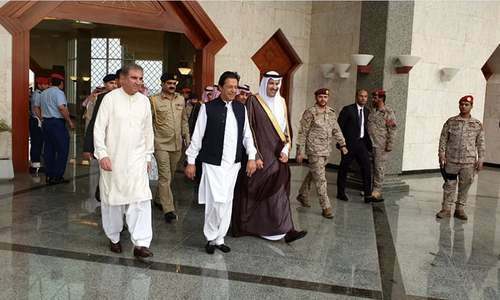 Our PM was received by governor of a city bravo what a nice welcome.... UAE and KSA are the two countries who are responsible for plight of Yemen and to be honest I felt bad our PM should not have visited at this time. Welcome to the club and the main, biggest and the richest clubhouse. Keep it up and hang on tough. Imran said he would not leave the country for 3 months! Not even the UN general assembly. Then he leaves immediately for Saudi Arabia. Back home the corrupt are free! Did I vote for Musharraf 2.0? Is this the new NRO!? I urger PM Imran Khan, please do not discuss any possibilities of NRO or giving relief to convicted Nawaz Sharif and his family. We want all looted money back in the country and spent for the welfare of the poor and deprived people on important issues like education, health care, security of the people, providing clean water and job opportunities for all. Didn’t PM say that he will not travel abroad for 3 months after taking office ? @Sarfaraz Ahmed Do not forget he is a politician. All new politicians will look great, and people who love them or who are inexperienced will not take any criticism of the leader, but history repeatedly shows that politicians- new or old behave similar fashion. So no need to be surprised. 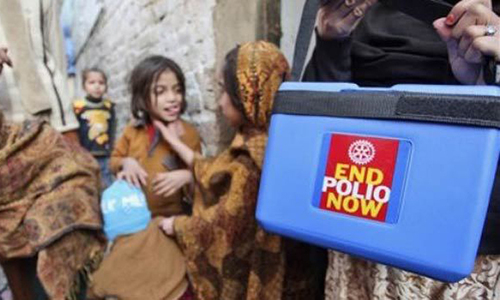 Pakistan is looking for friends who help without conditions. Saudis and UAE have always been there. With IK as PM, once we are out of the economic squeeze, we will repay all loans and be able to assist others in education, training, military, space programes and keeping the seas open and safe from spoilers and detractors in the area. Don't think Imran is in a position to discuss anything but dollars and Saudis will oblige but that is not going to come free,they sure will ask things in return. @Anti-Corruption_Pakistani wake up !!! Stop living in fools paradise the looted money will not come back if you want to get looted money back then stop voting rich people into power. 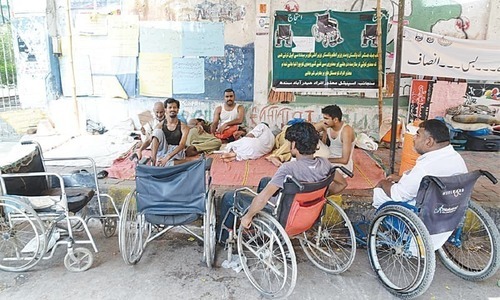 @RJM They can ask, no less than IK can ask for Loans or Aid, but the other side doesn't need to give it. I don't expect IK to give anything which is not for him to give. @Sumit "but history repeatedly shows that politicians- new or old behave similar fashion. So no need to be surprised." Especially if they are not trained in statecraft before coming in politics. most of our politicians have made their career upon the wishes of people without knowing exactly how the system exactly works and evolves. They mostly end up with amateurish statesmanship. Even during their tenure, they hardly spend time to study the system. What a great feeling Imran Khan is enjoying in the photo, to be the PM of Pakistan! Nothing has changed only one of the faces has changed! Did IK sold all those cars to afford for this trip. I heard that he even ordered to not serve food for govt meetings? If not, how come he traveled in a very luxuries flight. @Sarfaraz Ahmed When PM say anything, it has no meaning. This is a regime of hollow Premiership. HE does not have any spine. He has to act according to his bosses order, regardless what he said before. Survival and lives are at stake, the Muslim world needs to set all differences aside and work together under the guidance of Islamic principles. PM looks class in the national dress, a thorough professional and a natural statesman MashaAllah, undoubtedly one of Pakistan's best (since Bhutto?) Compare him with the likes of our Sharifs and Chaudrys etc, who can hardly talk on the world stage, let alone fight for Pakistan's interests! @ Fahim and Rehan: read the article. 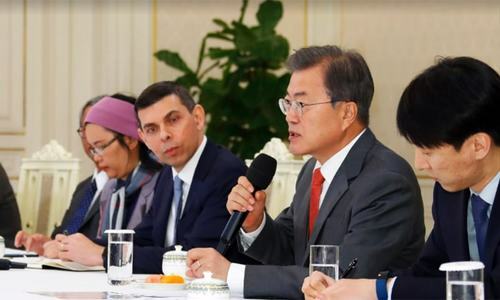 "We feel that it's very important that there should not be any conflict in the Muslim world," the premier said and added that there were already several conflicts plaguing the Muslim world, "starting from Libya to Somalia, to Syria, Afghanistan... Pakistan has [also] suffered a lot". "Conflict in the Muslim world is weakening all of us. Ideally, Pakistan would like to play a role of putting out these fires." What more did you want him to say that would have been constructive ?? Its called diplomacy for a reason. @rehan you should be with him or yes by the way why don't we sit on his Chair be cause we will remember it and he will forget since he is not a human being. don't mind please, your point is valid but we have to give him little time. Imran didn't go with a begging bawl in his hand. He talked about the issues of Pakistani workers and about trade and business, bilateral ties and support for each other. This should be enough. Saudi Arabia also voiced in favor of Pakistani stance on Kashmir issue. NS is released on the day IK meets KSA!! When do Pakistanis get to know under the table NRO? @Zak, it's amusing to daydream. It releives everybody's stress. 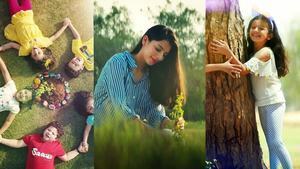 @Nomi Goraya Which country you preferred ? all are involved in one way or other. @Sameer So what? How can he miss an important cricket match? ‘Conflict in the Muslim world is weakening all of us. Ideally, Pakistan would like to play a role of putting out these fires." Exactly as Qaid e Azam had envisioned for pakistan to be a unifier and a voice of reason. @Sarfaraz Ahmed He is going on invitation, not of his own desire. @Neutral You miscalculated , its 7 not 70 years. Yes, ready to wait 7 years. sorry sir, but you are clueless! @Zak Brother you sound like a person who writes Pakistan Studies books no one will give you anything without asking anything in favor back. Last time Saudis gave us a billion dollars we saw your EX Army Chief leading coalition against Yemen now what will be the terms of loan. Please be a realist and stop living in fools paradise. @Tanvir Khan Would you want to be PM of a country with as many problems as ours, I dont envy him in such a role, lets hope he can make a positive impact to restore some honour to country and help us back on to our feet. Since birth of nation we have achieved nothing even though we have potential. We have always been led by self serving crooks who never cared for the greater good of the nation. We should have been fully developed nation by now and not seeing our people wanting to escape to another land because we cant offer them anything. People have backed him with hope and prayers for a better country, only time will tell. Saudis and UAE should have not warmly welcomed PM of Pakistan who came into power due to corruption. They should replace Pakistani workers with Indians for more productivity. It will be good for the Gulf nations. Indians and Pakistan don't get along in Gulf as Indians end up making more money than Pakistanis. @Zak :Too long wish list. Be realistic. @zack ,honesty is essential, but a leader needs much more. @Sameer He has gone to seek large grants to rescue Pakistani economy and meet CPEC loan repayments.